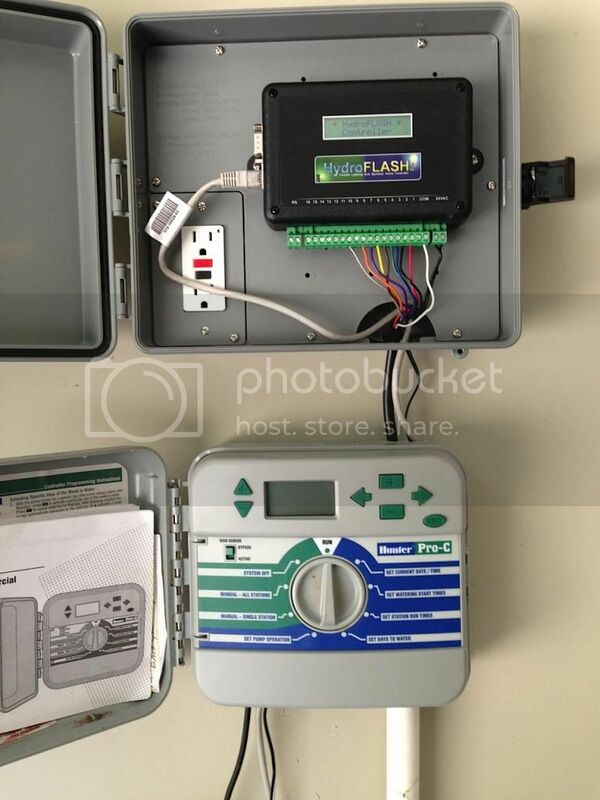 I just helped my father install a HydroFLASH at his house, and we kept his old commercial timer installed in parallel. My father has a good quality commercial Hunter timer in his home (more about that timer in another post...) and a sprinkler service guy who comes twice a year to check all the zones and heads to start it up in the spring and give it a final check and winterize it. One of the limitations of the HydroFLASH is that it does not have any kind of manual control to allow a service guy to run zones for service calls. Since my Dad's service guy does not have a smart phone, the only option would have been to hand him an iPhone or be there with him to work the sprinkler. Neither was a viable option. So, we installed the two timers in parallel. They run off separate power supplies to prevent the ability to have both on simultaneously. (And, the Hunter timer uses two 24V phases, so it would have been hard to get the wiring right with one power supply.) 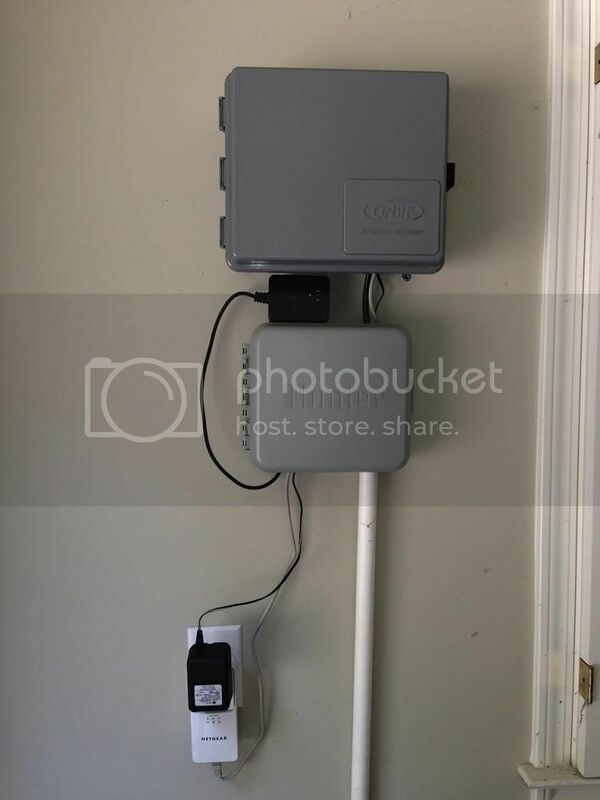 The Hunter is in a nice box, so my Dad bought a generic Orbit sprinkler timer box from Home Depot that has a built-in outlet. We decided not to use the built-in outlet, since the HydroFLASH brick was too big for the space allotted. Plus, it is safer to have the single outlet so that both timers cannot be plugged in at the same time. 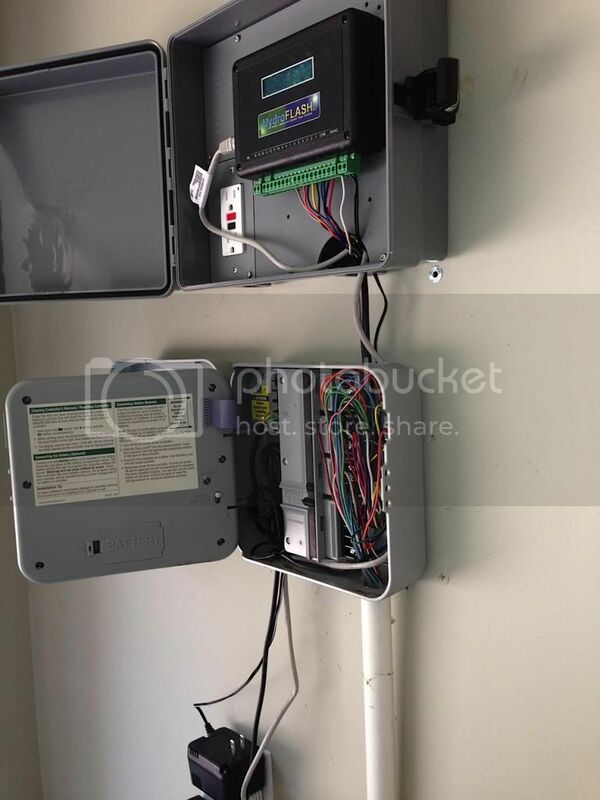 Here's the completed installation with both sprinkler timer boxes and the two power bricks. Picture of both timers and the HydroFLASH on. 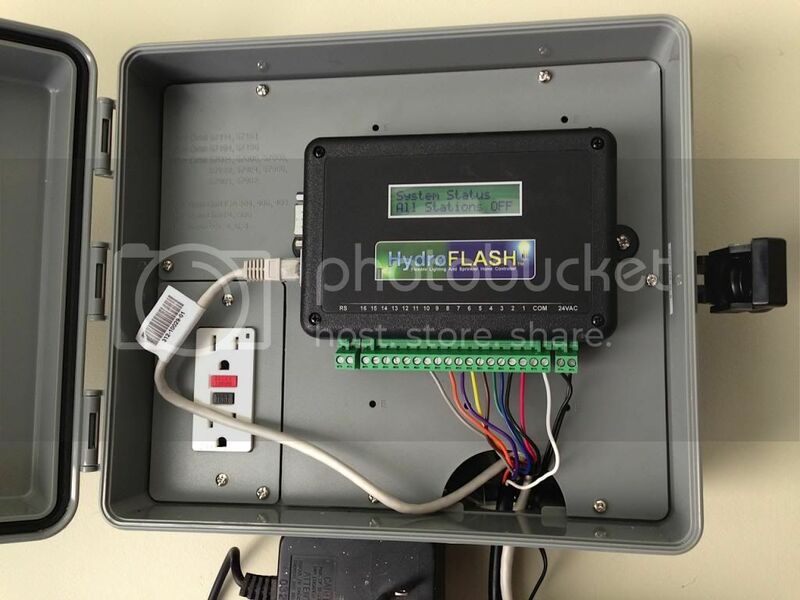 Picture of the exposed wiring in the Hunter timer feeding up into the HydroFLASH box. Close-up of the HydroFLASH in its box (the built-in outlet is not wired or used).